There are some vegetables for which sous-vide cooking can't be beat. For me, carrots top that list. When cooked in a sealed bag with a little bit of butter, sugar, and salt, the natural flavor of the carrot intensifies into a sweeter, stronger, and downright tastier version of itself. It's one of the few cooking methods where the end result is a vegetable that tastes more like itself than when you started. Set Anova Sous Vide Precision Cooker to 183°F / 83.9°C. 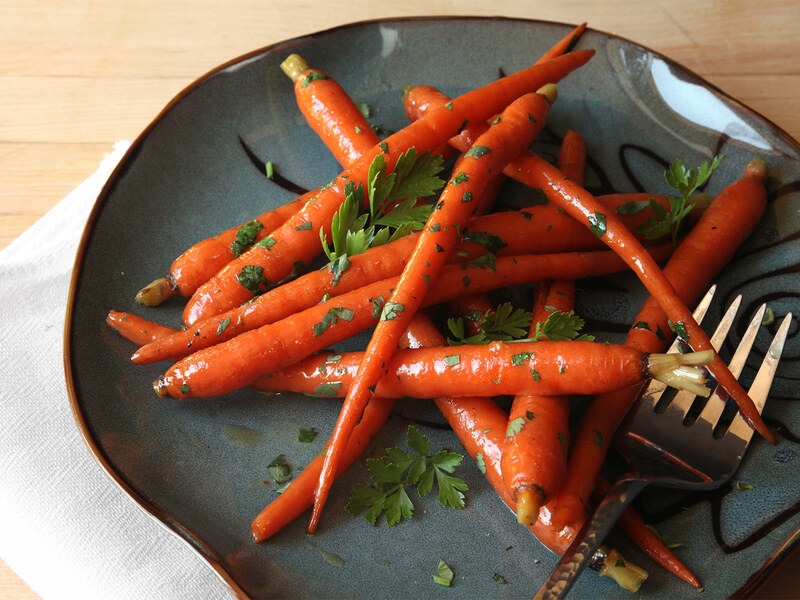 Place carrots, butter, sugar, and 1/2 teaspoon kosher salt in a vacuum bag or ziplock bag and seal. Cook carrots in the water bath until fully tender, about 1 hour. At this point, carrots can be stored in refrigerator for up to 1 week. Season to taste with salt and pepper, stir in parsley, and serve. If glaze breaks and turns greasy, add water a teaspoon at a time, shaking pan to re-form glaze.